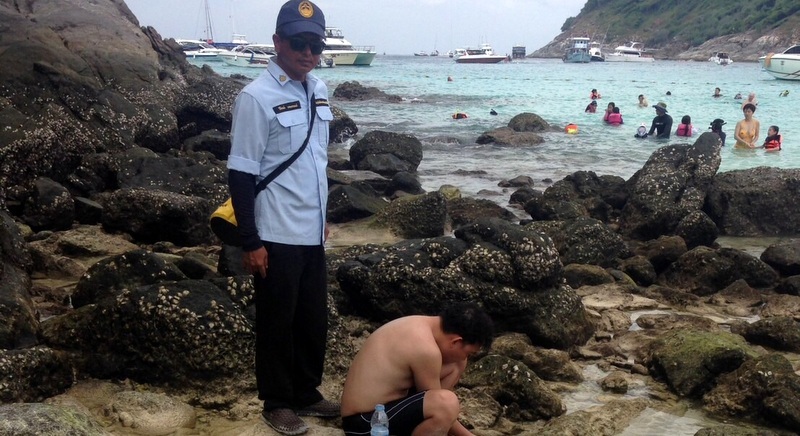 PHUKET: -- A Chinese tourist has been arrested for catching baby parrotfish off Racha Yai Island, south of Phuket. I was buying them from the Rawai beach seafood markets only 2 years ago, apologies for my ignorance on this issue. I now understand their plight and their importance to the eco system. Question is are they still available at those markets? I prefer them fried rather than 'poached '. Some are unaware of the law, but even many restaurants know its illegal but some still have them for sale, but just not displayed openly.